Home service robots are a part of nearly every vision of the future that doesn’t involve our planet ending as a smouldering wreck. But versions thus far have either been completely unhelpful, or terrible at standing up. The Robit is meant to be a simple, affordable solution to this problem. The $329 robot is essentially a Raspberry Pi on wheels, with a few extra sensors attached, and a cute head stuck on top. It also connects to Wi-Fi, so you can program and control it from anywhere as long as you have an Internet connection. The real magic comes from the open-source code. 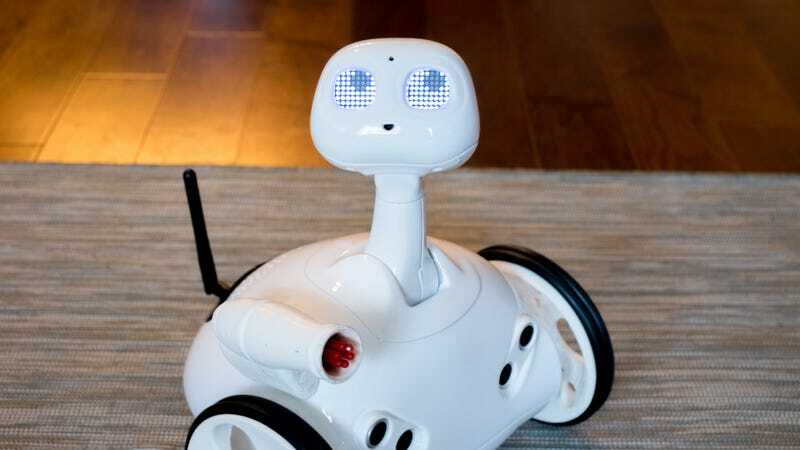 Similar to the Raspberry Pi, Robit is meant to be a cheap home robot for everyone to tinker with. Doing so is ridiculously easy—you can do things like writing simple scripts to execute movement in a web browser or creating full apps to recognize people’s faces. Another obvious application is in education. A programmable robot would make fourth-graders way more interested in coding, and Robit comes with a software simulator, which means an entire class could write scripts, test them on a virtual robot, and finally get their turn with the real thing. A few things are in Robit’s favor, though: it has a fully-functional hardware prototype that was quite at home in my own apartment, and the hardware itself isn’t outlandishly complicated.